Ryan is a 3 year old who we saw for the first time at 14 months. His came to us for a second opinion. He was already being treated with a brace. He presented with a 40 degree curve with a rib vertebral angle of 38 degrees. He had a high risk of progression because of multiple factors. It was decided to proceed forward with casting. 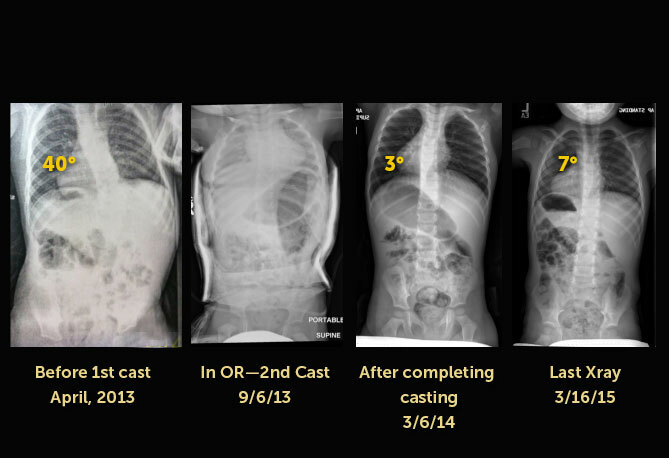 He had a Mehta style casting placed and after the first cast his curve went down to 12 degrees. After the second cast his curve went down to 8 degrees. 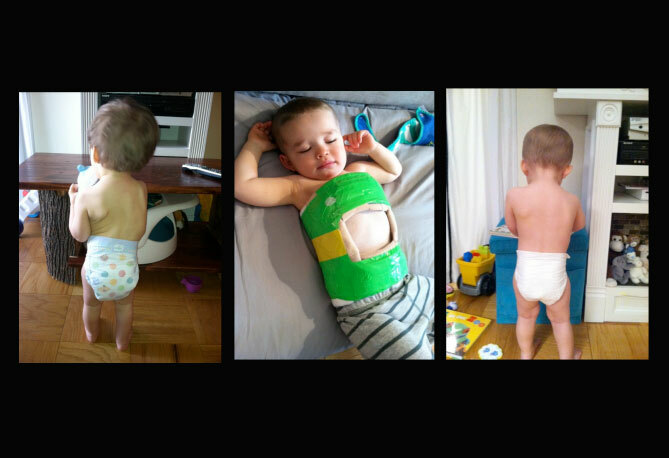 He had a total of 3 casts placed 2 months apart from each other and then was placed in a brace. He is now 3 years old and his curve is still low at 7 degrees. He is not in a brace at this point and doing well. If his curve had continued to progress in a brace he may have needed further interventions such as growing rods or an eventual spinal fusion and instrumentation.